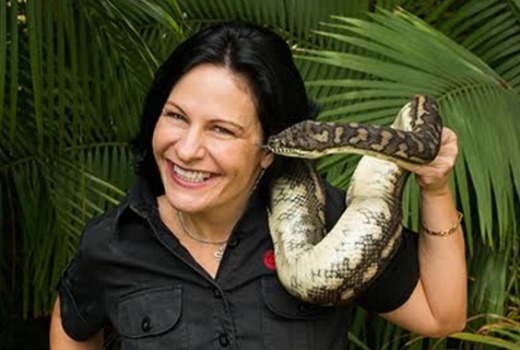 Animal Planet is in production on local series Snake Boss, featuring snake catcher Julia Baker relocating reptiles from Brisbane backyards and houses. Produced by WildBear Entertainment and Flickchicks, it will premiere later in 2016. The 10-part series aims to provide viewers with a better understanding of Australia’s reptile population. As one of just a handful of females working in the industry in Australia, Julia Baker is passionate about educating people about the importance of the different species to the ecosystem, so they can understand them rather than fear them. Australia is home to some of the world’s deadliest snakes, especially Brisbane, which has more dangerous snakes than any other capital city. For pastry-chef-turned-snake-catcher, Julia Baker, close encounters with some of these dangerous reptiles is just a regular day in the office. From uncovering deadly eastern brown snakes inside bedrooms to removing them off rooftops, Snake Boss Season 2 will follow Julia as she continues to rescue residents from these unwanted slithering visitors, with some help from her husband and fellow snake catcher, Johnny Gallacher.